Problems can happen at any time, day or night, so we've compiled some of the most common subjects and questions into step-by-step tutorials. Below are links to pages that deal with specific FAQ's that we recieve here at Tiger Mountain Technologies. Every topic includes step-by-step instructions on how to resolve most issues. 01 What are Windows Updates? 02 How do I check for Windows Updates? 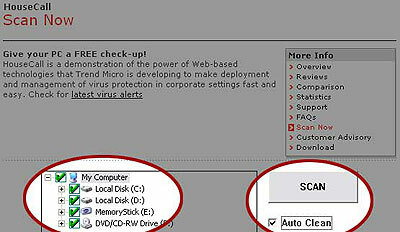 03 How do I use the House Call Virus Scan? 04 How do I activate the Windows XP firewall? 05 What is a virus? 06 How do you prevent viruses from infecting your computer? 07 How do I set/change my homepage? 01- What are Windows Updates? The Windows Updates service is a free service provided by Microsoft to users of the Windows Operating System (Windows 95, Windows 98, Windows NT, Windows Millennium Edition, and Windows XP). 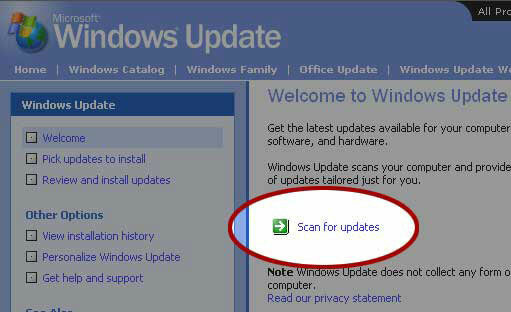 It scans your computer's operating system, then provides you with a list of available updates. Critical � These updates are vital to your computer's security and operating efficiency. You should download and install ALL of the Critical Updates. You may need to restart your computer after you install some or all of the Critical Updates. It is highly recommended that you check for Windows Updates every week. 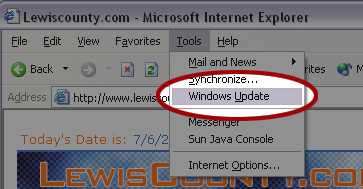 Suggested � These updates are not vital to your computer's security or operating efficiency, but may update or improve some program's performance. 02- How do I check for Windows Updates? Move the mouse cursor up to the menu bar and click on "Tools"
Click on the third option "Windows Update"
Wait until the Microsoft web page has finished loading, then click "Scan for Updates." Select all Critical Updates and then install them. You may need to restart your computer after the Updates are installed. Repeat this process once every week to keep your computer secure, and running at optimal performance. 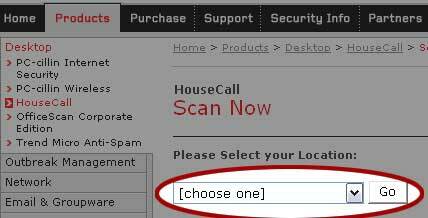 03- How do I use the House Call Virus Scan? Wait for the web page to finish loading and then look to the left side of the screen for the "House Call Anti Virus Scan" and click on it. Wait for the next page to finish loading and then move your mouse down to the �Scan Now. It's Free� link and click on it. A new window will open that displays several types of information, including the number of files scanned, the number of infected files, and a short quiz for you to take during the scan. The scan itself can take several minutes, based upon the size of your drives you selected, and the number of files on your selected drives. When it's finished, it'll display the results and you can click �Close� to close the completed scan. There is no limit to how many times you scan your computer; it's always free. You can scan your computer for viruses at any time, but we recommend that you scan all of your computers at least once every week. 04- How do I activate the Windows XP firewall? Windows XP Home and Professional Editions both offer an Internet firewall to protect you from virus infections, attacks, and the installation of unwanted programs. If you aren't running Windows XP, you can buy a firewall program from Symantec, McAffe, and others. A firewall is a great security measure for your computer because you keep hackers and other malicious code from being executed on your system. On your taskbar look for an icon that looks like two computers with flashing screens. This will open a new window with a few different options. You should see your active connection listed in the window that opens up. Right-click on the icon that says �Enabled,� and select �Properties� to open another window with options. Click on the small box to turn on your Windows XP firewall, this will help keep your computer secure from attacks. Click �OK� to confirm the activation of the XP firewall. 05- What is a virus? A computer virus is a malicious program that infects your computer's vital components, executes it's programming, replicates and repeats. Viruses were commonly distributed via email and email attachments that would unleash the virus on unsuspecting victims. Currently viruses are able to infect computers simply by visiting a web site that has a virus program written into the page's code. With this type of attack your computer could be infected without your knowledge. 06- How do you prevent viruses from infecting your computer? Unfortunately the only way to prevent viruses from infecting your computer is to never go online, never open any media from discs, and never allow anyone else to use your computer. This method of prevention is almost impossible to enforce, and the fact is that at some point nearly every computer will have become infected with a virus. The easiest ways to prevent viruses from infecting your computer is to stay away from dangerous web sites, don't open email/attachments from people you don't know, don't download programs carelessly, and make sure that you have the current Windows Updates. For additional protection a firewall can prevent unwanted people from attacking your computer's vulnerabilities. 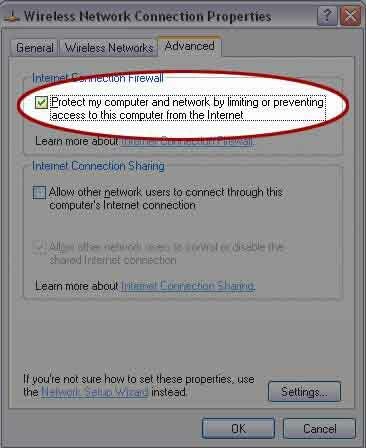 Windows XP users have a firewall already installed, read how to activate it here. Firewall programs are available for purchase, so shop around for information and prices. Antivirus programs are very popular, but only protect you from known threats. Antivirus programs can't protect you from viruses that are created tomorrow because they're unknown threats. In order for an antivirus program to be effective it has to be kept up to date (how to do that depends upon the program), and you have to scan your computer for viruses. Antivirus programs can sometimes be overzealous and overprotect you by blocking access to sites and functions you normally use. Antivirus programs vary in cost and features, so be sure to research available products before buying one. On one hand there are some known, and popular, antivirus programs such as Norton, McAfee, and others. When you buy these programs you must also pay for a subscription to download updates, however the subsription usually expires after one year. On the other hand you can download and use a free, and respected, antivirus program from a company called Grisoft. Grisoft's antivirus program is called AVG and is free to download, use, and update pretty much forever. The most significant drawback to this is that the free version can ocasionally take a very long time to download updates, it is free after all. You can find the AVG free version here: AVG Free version. 07- How do I set/change my homepage? Setting your homepage is different for each of the browsers, and this will cover Internet Explorer, Firefox, and Netscape Navigator. Open Internet Explorer (you don't have to be online if you know what site you want your homepage to be). If you're online and at the page you want as your new homepage, just click on the Use Current button, then OK! Open Firefox (you don't have to be online if you know what site you want your homepage to be). Open Netscape (you don't have to be online if you know what site you want your homepgae to be). If you're online and at the page you want as your new homepage, just click on the Use Current Page button, then OK!